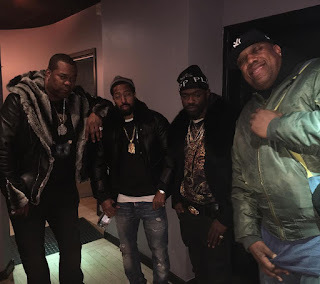 Long Island Rap Blog: Busta Rhymes, Notorious B.I.G., Roc Marciano, J. Dilla - "Modern Day Gangstas"
Busta Rhymes, Notorious B.I.G., Roc Marciano, J. Dilla - "Modern Day Gangstas"
December 26, 2017, via KP's Insta. Strap in because there's some history behind this one ... or just scroll down to the track. Story goes that the original version of Busta Rhymes and Notorious B.I.G. 's "Modern Day Gangstas" aka "Dangerous MC's" aka "The Ugliest" was recorded over a J. Dilla beat in 1996 for Busta's debut, The Coming, but was shelved because Biggie went hard at Pac in his verse (like borderline self-incriminatory hard), and Bus didn't want to get mixed up in the beef. Puffy retained the masters, because he's Puffy I guess, and then released a remix of the song over a Nottz beat on Notorious B.I.G. 's posthumous 1999 album, Born Again. This version featured Snoop Dogg and Mark Curry, whereas the original Dilla version features Busta Rhymes affiliate Labba. (Peace to The Lost Tapes for shedding light on the above back in 2014.) There's also a 12" promo release of "Dangerous MC's" on Bad Boy, featuring Mark Curry, Snoop Dogg and Busta Rhymes (pictured here, sealed), with "Who Shot Ya" on the b-side. Discogs doesn't give a date for this release, it's not up on YouTube, and I'm not cracking the seal on my copy, so who knows when that came out or what it sounds like. 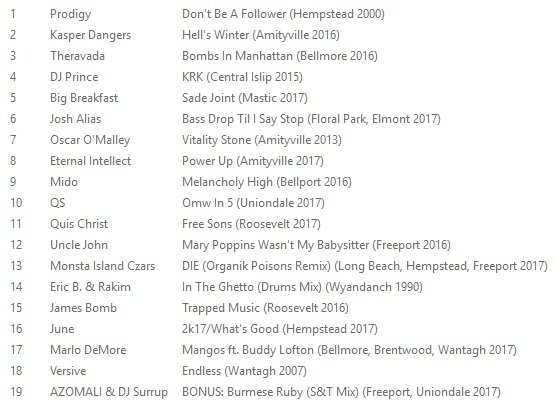 Alas, none of these versions, as far as anyone knows, featured Roc Marciano. Sure enough, five days later, Shoes kicks off the December 13, 2017 edition of his dublab program, Magic, with a track he lists as "Biggie Dilla Busta Rhymes ft. Flipmode – Modern Day Gangsters / Dangerous M.C.’s." The full program is available to download. All I did was cut out the first song, using Audacity. Stream/download Busta Rhymes and J. Dilla's "Modern Day Gangstas" ft. Notorious B.I.G., Labba and Roc Marciano below. That’s the offical version right there. Something been always off about Labba’s verse and the gunshot ending.